Summer is kicking and grilling season is still in full swing! 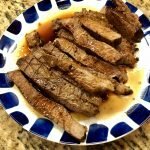 For those of us without grills, my cast iron skillet has been getting a great workout 🙂 This week I was craving beef and wanted something a little different from a steak, so I whipped up this Weeknight London Broil recipe and I have to admit, I get surprised how much I love this recipe each time I make it! Give it a try! In a small bowl, whisk together all ingredients (except the beef). Lightly score the beef on both sides and place in a shallow dish or large ziploc bag. 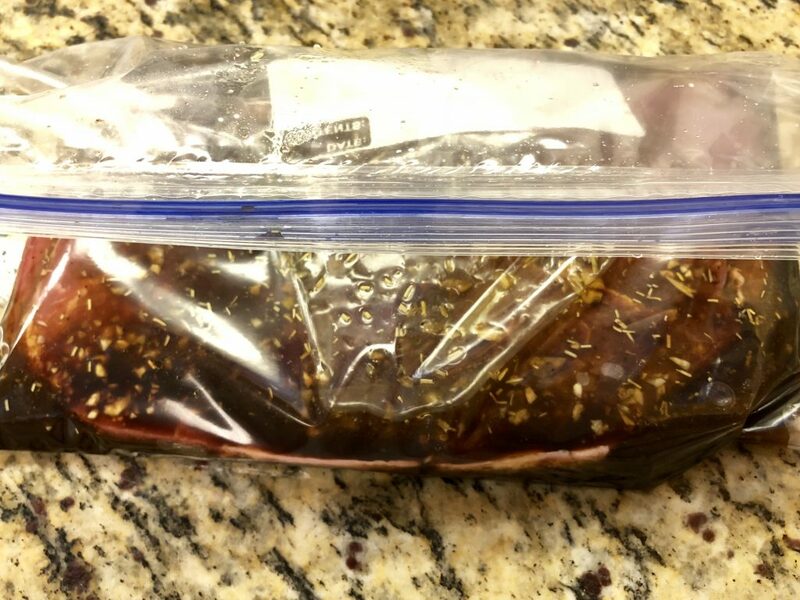 Add the marinade to the dish/bag and let sit in the fridge (if you’re using a dish, cover with plastic wrap) for 1 to 24 hours. 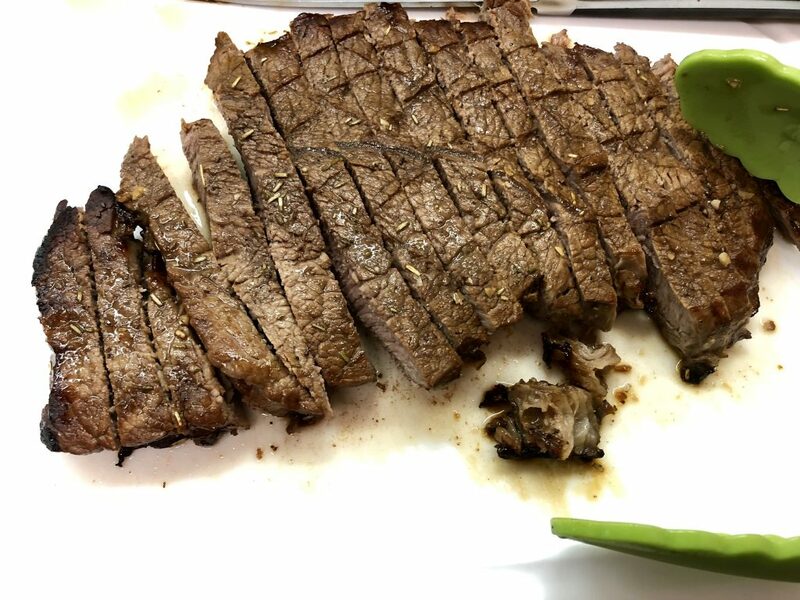 Remove marinated meat from fridge and let sit at room temperature for 1 hour. After 30 minutes, turn the broiler on and high and place your cast iron skillet under the broiler. Let it preheat for 30 minutes. 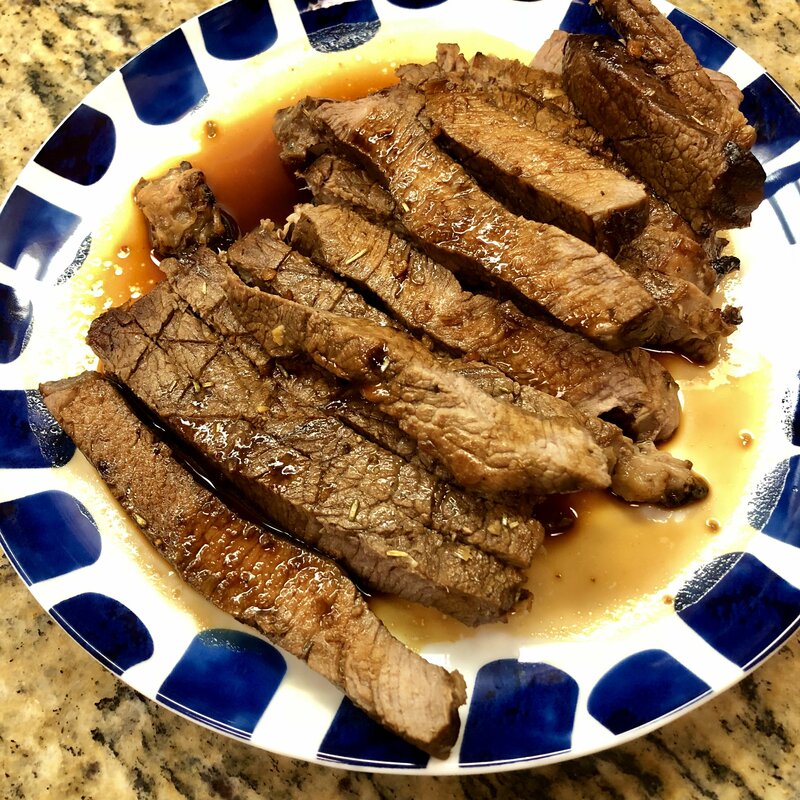 Quickly remove the skillet from the oven and carefully place the london broil in it and return to the oven for 5 – 7 minutes per side. 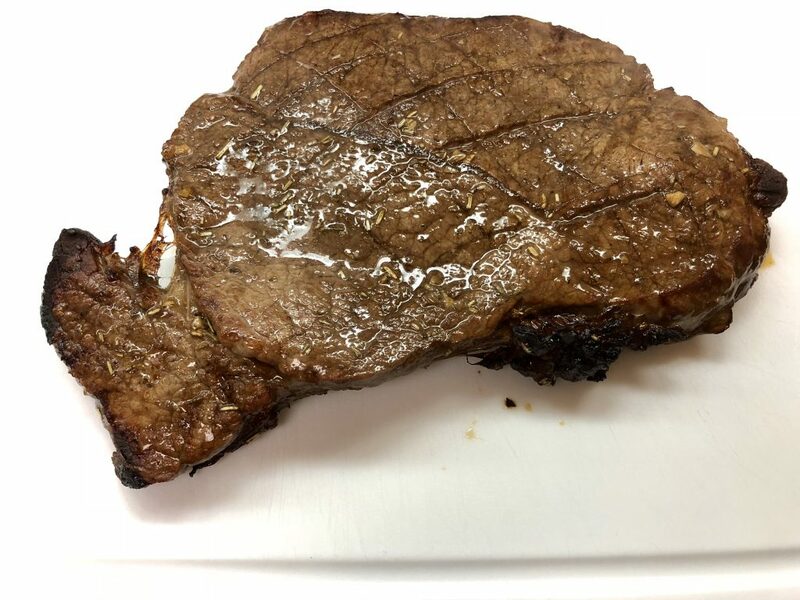 Once cooked, let the london broil rest for 7 minutes on a plate or cutting board to keep the juices in. I like to make an aluminum foil tent over the meat to keep it from getting cold. When ready, slice against the grain and enjoy! Lightly score the beef on both sides and place in a shallow dish or large ziploc bag. 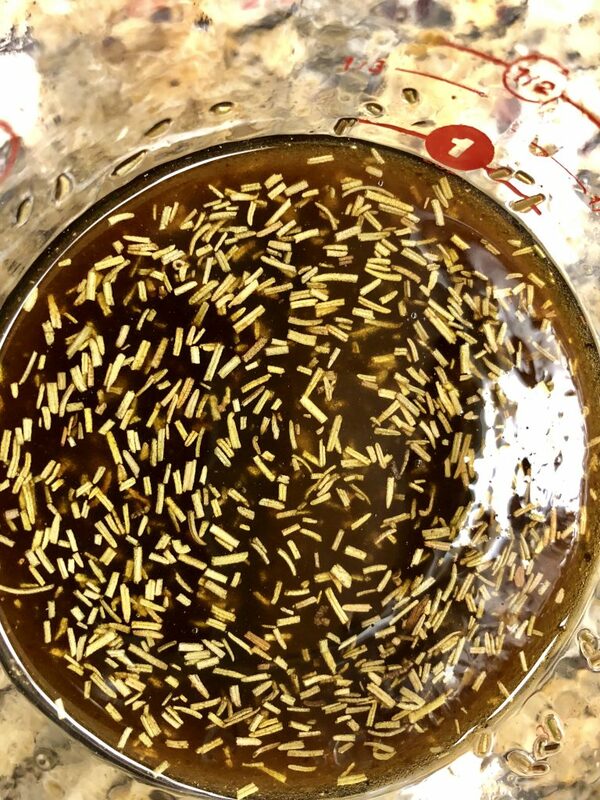 Add the marinade to the dish/bag and let sit in the fridge (covered if using a dish) for 1 to 24 hours. 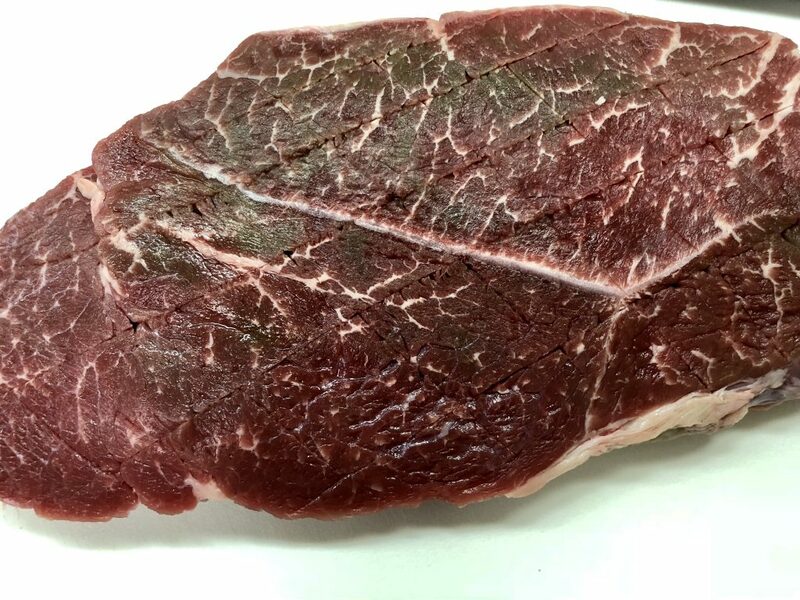 Remove marinated meat from fridge and let sit at room temperature for 1 hour. After 30 minutes, turn the broiler on high and place your cast iron skillet under the broiler. Let it preheat for 30 minutes. 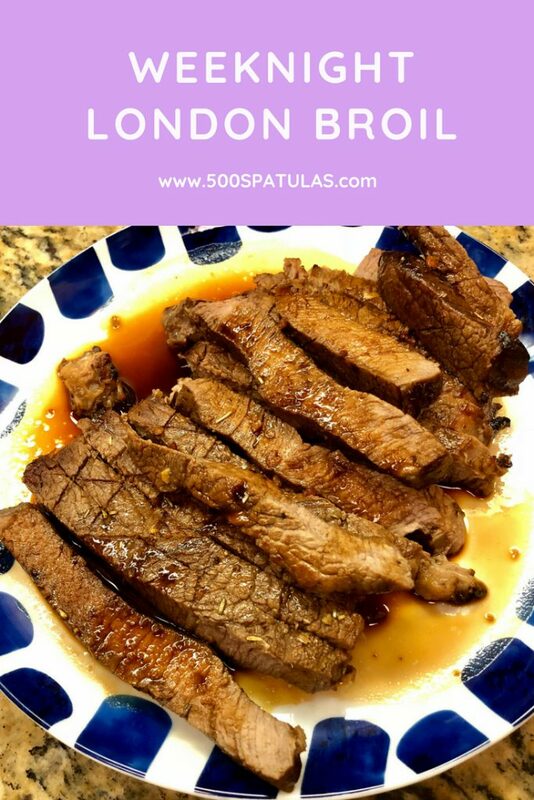 Quickly remove the skillet from the oven and carefully place the london broil in it and return to the oven for 5 - 7 minutes per side. 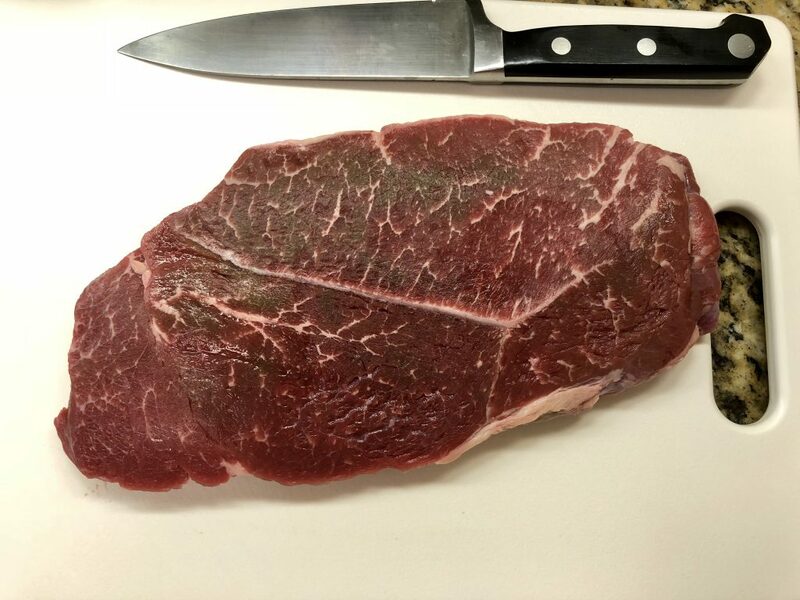 Once cooked, let the london broil rest for 7 minutes before slicing to keep the juices in. I like to make an aluminum foil tent to keep it from getting cold. When ready, slice against the grain and enjoy!